News: Get Out The Vote for Japanese Kit Kats! | Oyatsu Break! 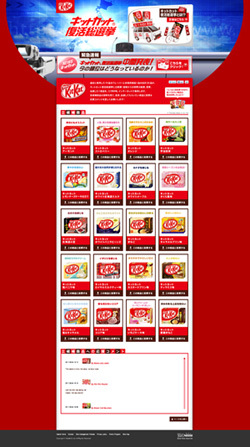 Thanks to Jen’s Kit Kat Blog, I’ve found out that the good folks at Nestle Japan are holding a vote to see which classic Kit Kat flavour should make a triumphant return this winter! (The flavours I’ve tried have been italicized). Quite honestly, I’d totally love to acquire one of each of those delicious candy bars again, but topping my list would be Salted Caramel, Lemon Cheesecake, and the patriotic bit of me says White Maple. You can vote 3 times a day, every day, for the flavours of your choice. Unfortunately you’ve got to be a Nestle member to vote, which is kind of a huge sticking point if your Japanese skills are lacking. But if you can manage the sign-up process, head on over and vote for your favourites! Thanks to Phil Knall for translation help.